Personal privacy is threatened in our present world. Every time an individual uses an ATM, makes a claim on medical insurance, fills a prescription, etc., information about that person is recorded. Karr Robinson is a teenager for whom life is going well. But this changes when bot... read full description below. Personal privacy is threatened in our present world. Every time an individual uses an ATM, makes a claim on medical insurance, fills a prescription, enters or leaves the workplace, has an encounter with the legal system, browses the web or sends email, buys online, makes a phone call, uses a credit card, orders an item from a catalogue, leaves or enters the country, fills out a warranty card, answers a product questionnaire, comes into view of surveillance cameras at a bank/government office/business place - information about that person is recorded. It is the 21st century and there is virtually no privacy, except for the very rich, who can pay for it, and for politicians, who legislate it for themselves. 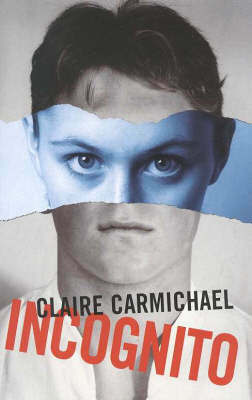 The only avenue for ordinary people is to find the underground group, Incognito, who can provide false identities. Karr Robinson is a teenager, brought up in a comfortable middle-class home by his father. Karr is popular, excellent at sport, and has a much-admired girlfriend but all this changes when overnight Karr finds that both he and his father's identities have been obliterated. They have become non-persons.